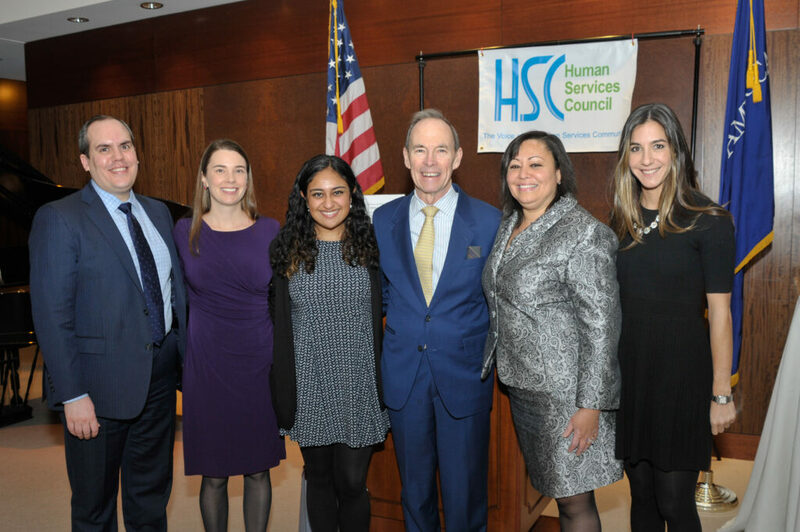 On December 16, 2015, Capalino+Company was recognized by the Human Services Council (HSC) for our support and contributions to New York City’s nonprofits and human services community. CEO Jim Capalino accepted the “Friend of the Human Services Community” award on behalf of the firm at HSC’s annual Leadership Awards Reception. 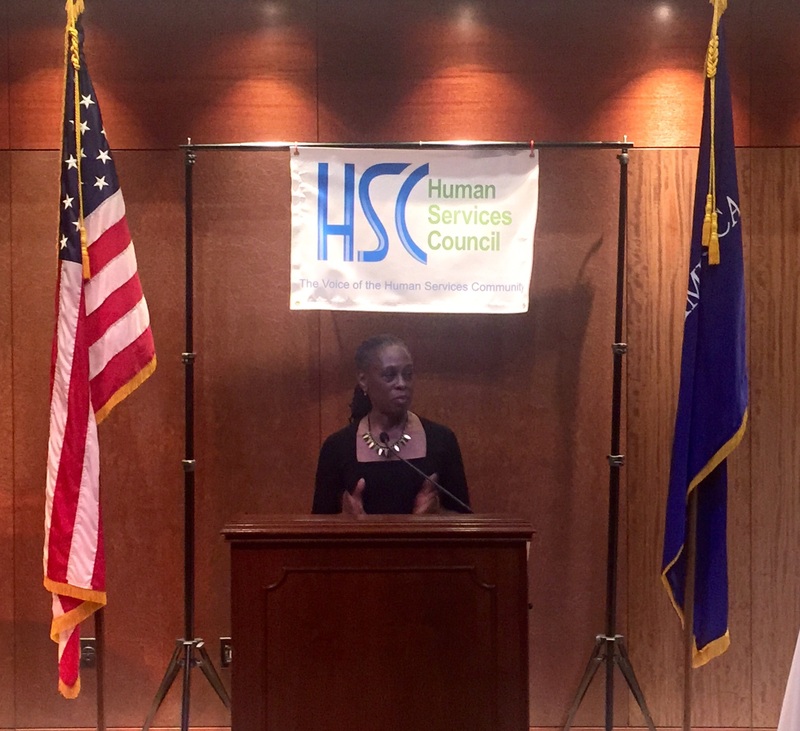 Capalino+Company is honored to have received this recognition alongside First Lady Chirlane McCray, who was presented with HSC’s Equity Champion Award for her outstanding leadership, particularly in the field of mental health. Held at Mutual of America, the Leadership Awards Reception is an annual HSC event that brings together hundreds of human services providers to celebrate the accomplishments of leaders in the sector. The First Lady opened the event by accepting the Equity Champion Award from the Executive Director of the Human Services Council, Allison Sesso. The First Lady spoke to the audience about her early career and roots in the nonprofit sector, and of the importance of human services providers in creating a more equal New York. She also spoke of her own advocacy work for mental health services as First Lady, including the recent rollout of the ThriveNYC Plan, a roadmap of mental health initiatives to support the well-being of New Yorkers. The First Lady thanked the attendees for their partnership and support in advancing this important initiative, especially since in New York City, one in five adults face a mental health disorder each year. Ana Oliveira, President and CEO of the New York Women’s Foundation, introduced Jim Capalino, highlighting Jim’s commitment to advocacy throughout his career. Ms. Oliveira served as the Executive Director for the Gay Men’s Health Crisis for seven years, during which time Jim was Treasurer of the Board of Directors. 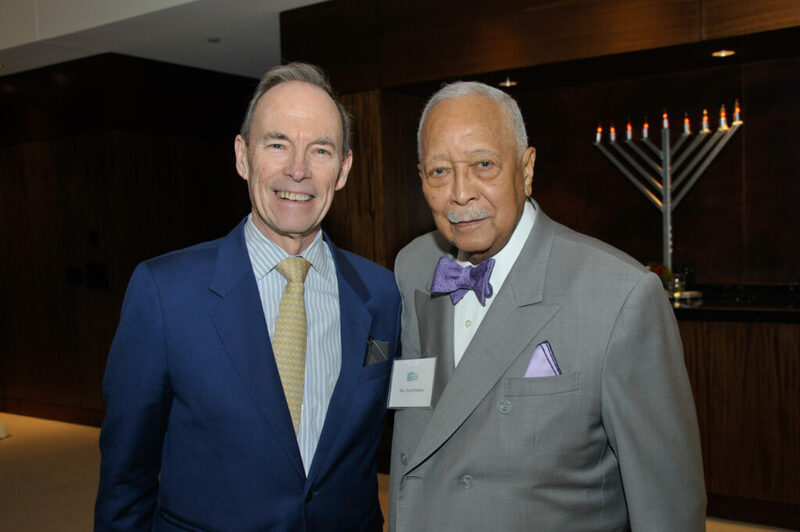 On the Board, Jim’s leadership ensured the organization eliminated its significant debt, enabling it to continue its mission to serve those affected by HIV / AIDS in New York. Ms. Oliveira told the audience that Jim does everything in his career with both dignity and love. During his remarks, Jim spoke about Capalino+Company’s commitment to the values of the nonprofit sector. Specifically, Jim discussed the 2014 founding of Capalino+Company’s Corporate Social Responsibility practice, which is led by Executive Vice President and former Commissioner of the NYC Department of Youth and Community Development Jeanne Mullgrav. The Capalino+Company CSR practice helps private companies to leverage their time, talent and resources to support nonprofits that align with their business interests and values. The CSR practice also works with nonprofits to help them tell their story and increase their capacity to attract and retain corporate partners. Jim closed his remarks by thanking the crowd for their service to New York City and reaffirming his commitment to the nonprofit sector. 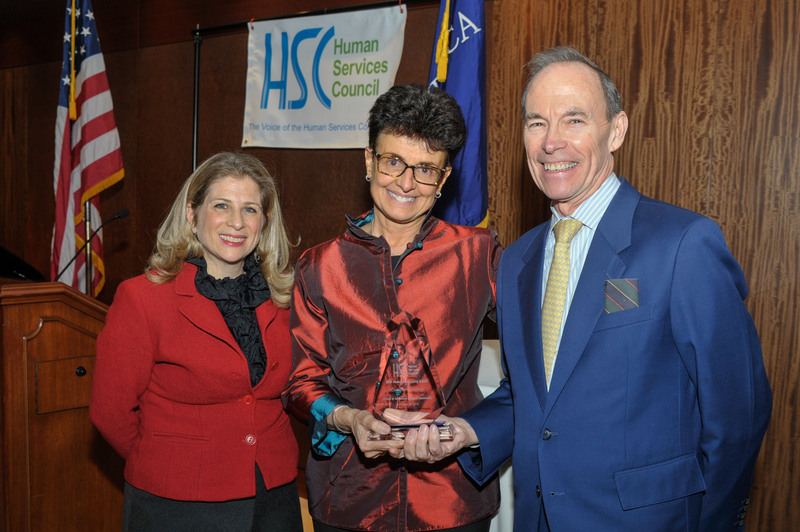 Alternatives to Incarceration / Re-Entry Coalition, an umbrella group of organizations that advocates for and provides services to individuals impacted by the criminal justice system, received HSC’s Advocacy Champion Award. Sebastian Solomon and Khalil Cumberbatch from member-organization Legal Action Center accepted the award on behalf of the Coalition. Mr. Cumberbatch told the audience that he was especially thrilled to accept the award because he is a product of the work of the organization. After serving six years in a New York State prison, he has devoted his life to advocacy and prison reform policy. HSC awarded two Next Generation Leadership awards, which recognize up-and-coming leaders in the sector, to Emily Miles of the Federation of Protestant Welfare Agencies and Kevin Douglas of United Neighborhood Houses. Capalino+Company commends the Human Services Council on a wonderful event, and extends our sincere thanks for the organization’s recognition of our work.